Four years ago we set up Event Volunteers. Today the programme, a joint initiative of Volunteer Ireland and Fingal Volunteer Centre has just completed our sixtieth event with 600+ volunteers registered aged 16 to 82 from 64 different nationalities. We’ve worked with and learnt from some of the best Event Professionals and Event Partners in Ireland and the UK. We’ve advised and supported other volunteer programmes to develop from concept to realisation. We’ve presented our concept at two IAVE World Volunteering Conferences in Australia in Mexico. We’re the first volunteer programme in Ireland to achieve Green Standard in the Volunteer Impact Assessment and we are currently working on the Investing in Volunteers Quality Standard and the Fingal Managing Volunteers Award. We don’t just reach standards, we set them. 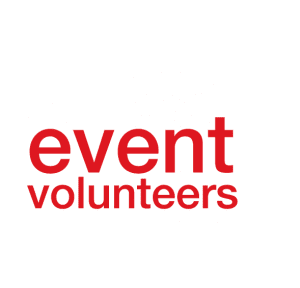 If you’d like to find out more about what we do and how Volunteer Ireland can support your festival or event why not come along and meet us on Thursday 27 April at Best in Fest in Aviva Stadium. We’d like to say a big thank you to Paul Barnes and the team in the Events Unit in Fingal County Council and Mark Breen and all the team in Cuckoo Events / Safe Events who have supported us and help us grow from the very start.